We debated about staying right in the Cinque Terre....Camera Guy and I decided to stay outside of the area because we wanted to explore more of the region and needed larger accommodations since there were four of us. 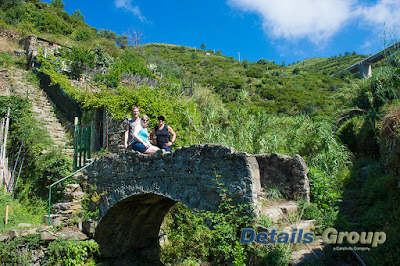 If you stay in The Cinque Terre, you can explore the villages at leisure. Don't rent a car if you are staying in one of the villages as there is very little accessibility. There are accommodations available and you need to book very far ahead to get something you like. 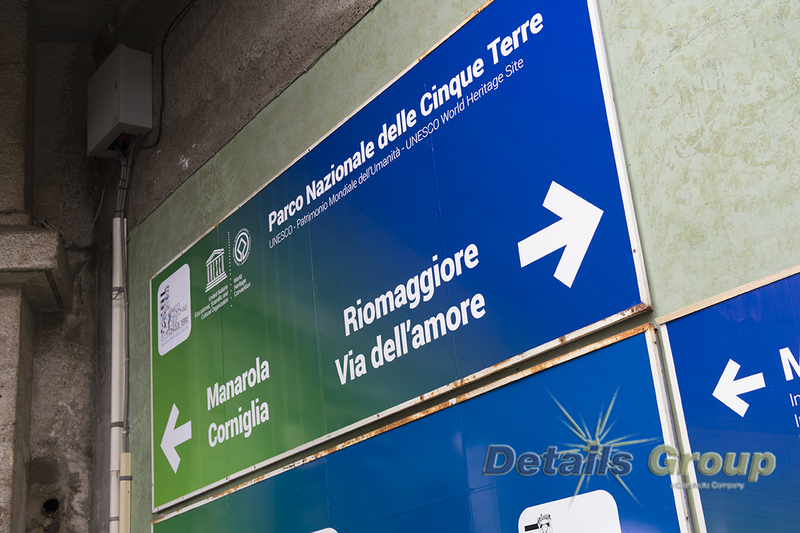 We rented a car knowing that we wouldn't use it to travel through the Cinque Terre. We would try the train, the boat and do some hiking. 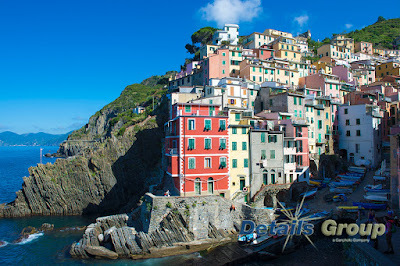 Riomaggiore (photo below) is the most southern village of the Cinque Terre and we decided to start there. 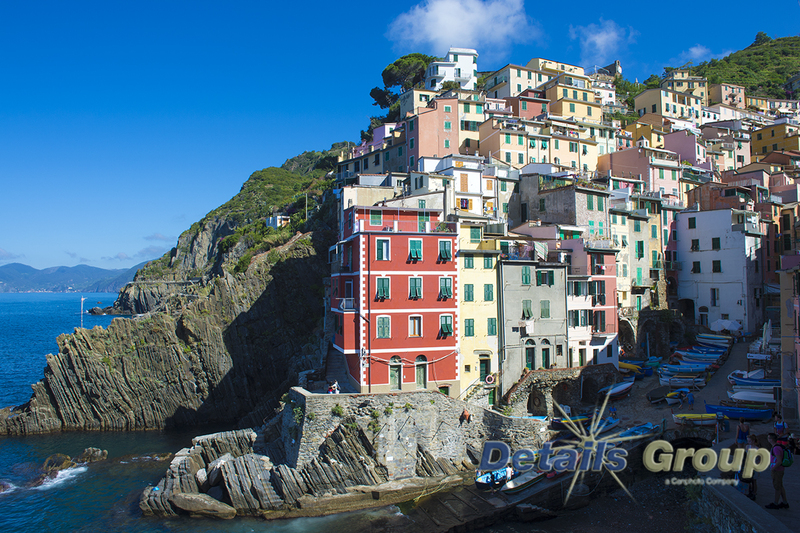 We would take the train and then take the coastal hiking path between Riomaggiore and Manarola, the Via dell'Amore or The Lover's path. Unfortunately, we discovered it was closed due to a rock slide...no one knew when it would be reopened. And then came the brilliant decision to hike over the mountain. Totally unprepared, the four of us began the climb... with little water...on a very hot day. I held the group back a bit and after making our way up the first section, we discovered there was a quite a bit more to go before reaching the top. They all looked at me...and I looked at them... and then Elliot suggested to me that maybe I should reconsider the climb and so I said we should turn back. It was actually difficult going back down as it was pretty steep! 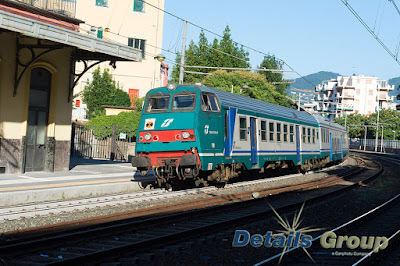 We took the train to Manarola which took only a few minutes! Manarola (photo below) is the village that is photographed the most, with its colourful and joyful houses perched on a huge rock jutting out of the beautiful blue Ligurian sea. 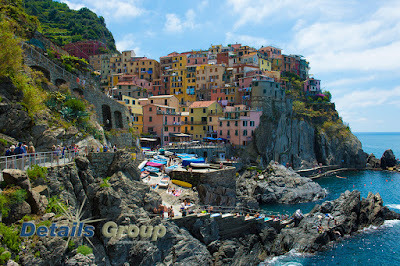 Manarola and Vernazza are considered one of the most beautiful small villages of Italy. 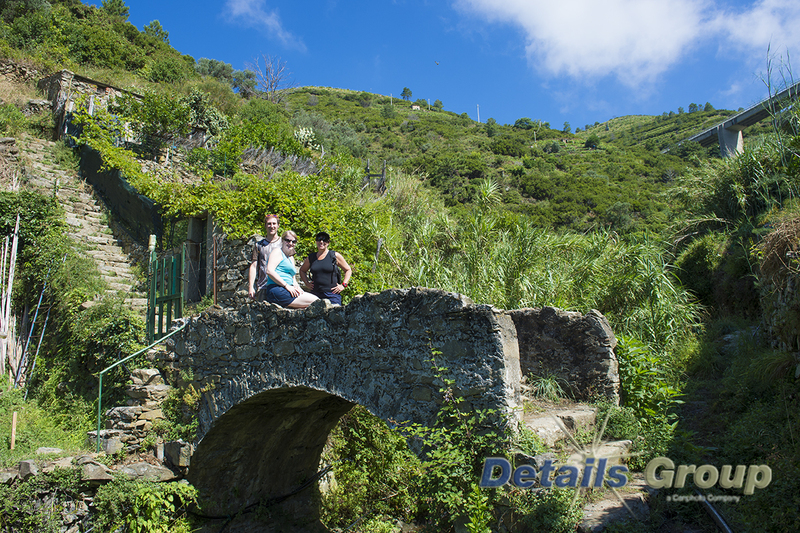 It has a pretty harbour with fishing boats and a great swimming spot. Bring a swim suit! You can jump off the rocks or climb down the ladders. It is quite deep here so you shouldn't swim here unless you feel comfortable in deep water.